@cyril-cambray: pour l'avoir entendu en live ce w-e .... je confirme ... il déchire!!!! I feel like we are watching Proxeeus evolving and growing in front of our eyes. Like a cacoon, slowly breaking open. I saw it with Artha, watching him grow into a Goa trance heavy weight. Consider him getting close to parity with Simon Postford. And I'm seeing a similar path starting with Proxeeus. The seed has been planted. What has been started can't be stopped. And its the most beautiful thing. @proxeeus: j'adore ta folie musicale !!!! merci c'est du tout bon qui arrive la :D ... ca va etre difficile de tenir jusqu'en decembre!! it will be a great gift to all true-goa-freaks!! Buy Proxeeus: Non-Euclidean Geometry (Album Preview) OUT NOW! Users who like Proxeeus: Non-Euclidean Geometry (Album Preview) OUT NOW! 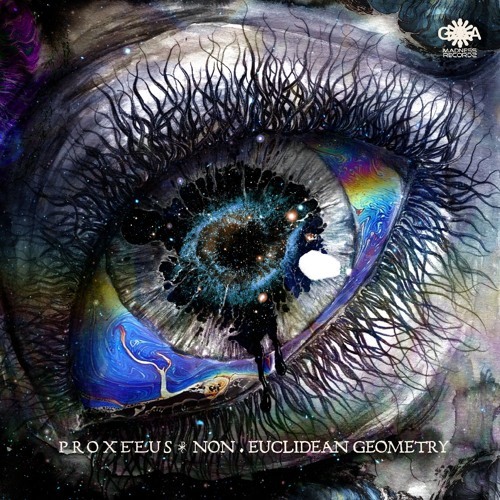 Users who reposted Proxeeus: Non-Euclidean Geometry (Album Preview) OUT NOW! Playlists containing Proxeeus: Non-Euclidean Geometry (Album Preview) OUT NOW! More tracks like Proxeeus: Non-Euclidean Geometry (Album Preview) OUT NOW!